The White Oak One features beautiful views of the Yellowhammer Creek, the Yellowhammer Mountains, and the area’s largest white oak. 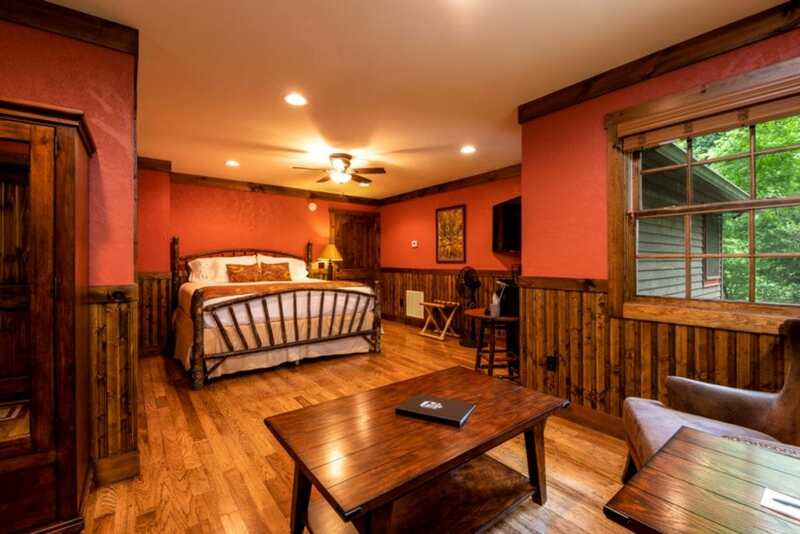 This cabin features a private bedroom with a plush king bed, a private full bath, a large private porch and a spacious living room with cathedral ceilings and wide windows to take in your beautiful surroundings. 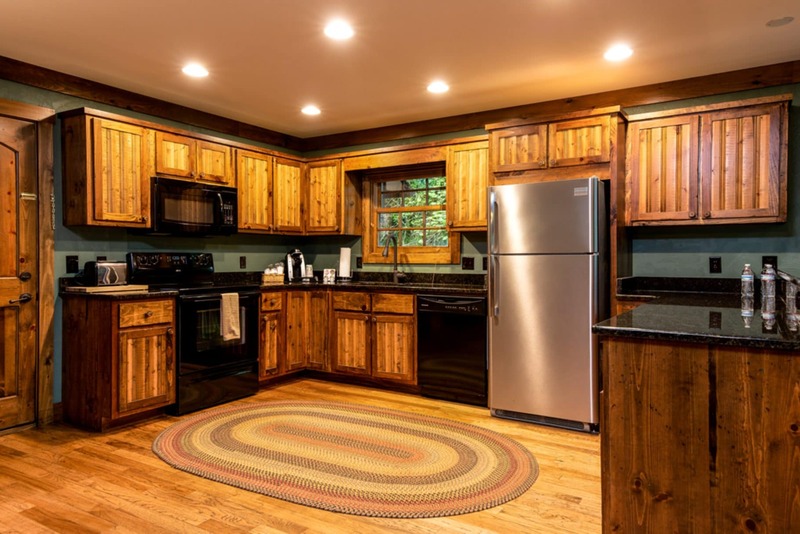 This cabin is unique as it has a full kitchen to enjoy your time dining with friends and family. 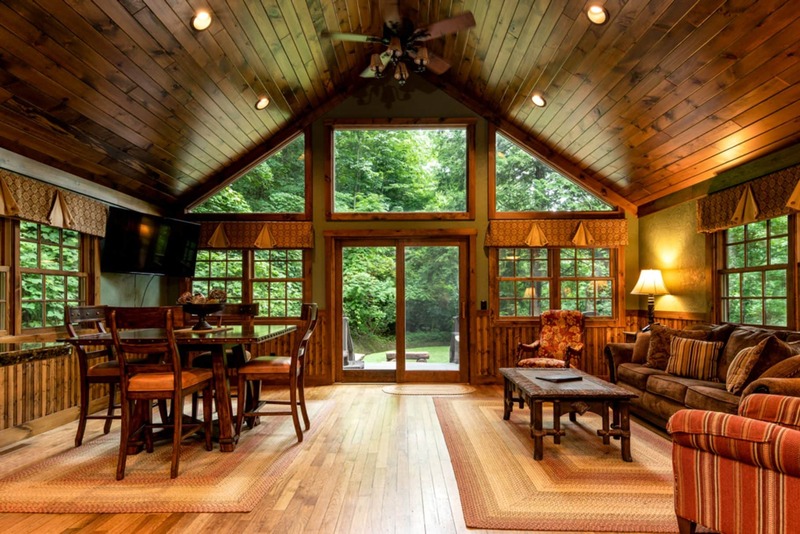 This cabin is perfect for those who want to have space to enjoy company. The White Oak Two features a plush king bed and sitting area to sit back and relax. 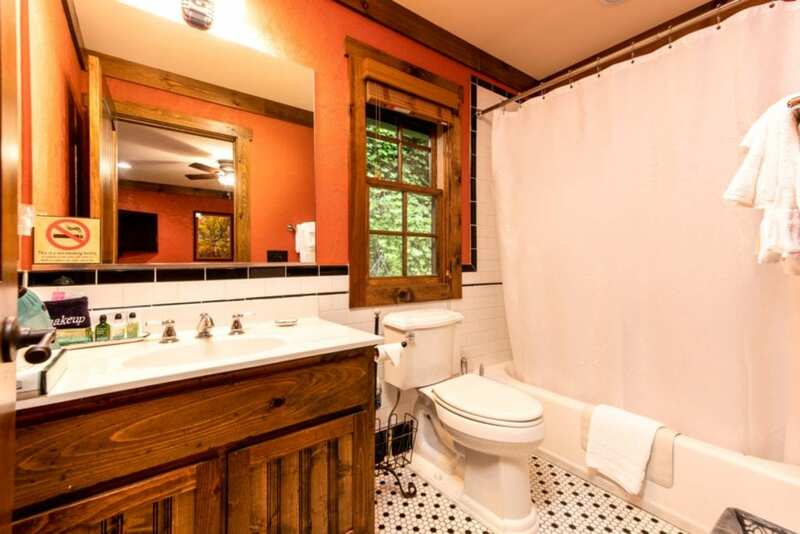 This cabin is situated high above the Tapocco property and has a view of the Yellowhammer Creek and Yellowhammer Mountains, as well as the area’s largest White Oak. 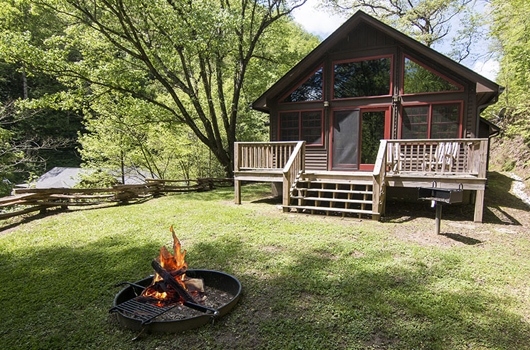 This cabin is a great choice for couples or friends traveling together as the connecting door can be opened, and the living room and kitchen space can be shared while maintaining private bedrooms. White Oak Cabin One has beautiful views of the Yellowhammer Creek, the Yellowhammer Mountains and the area’s largest white oak. 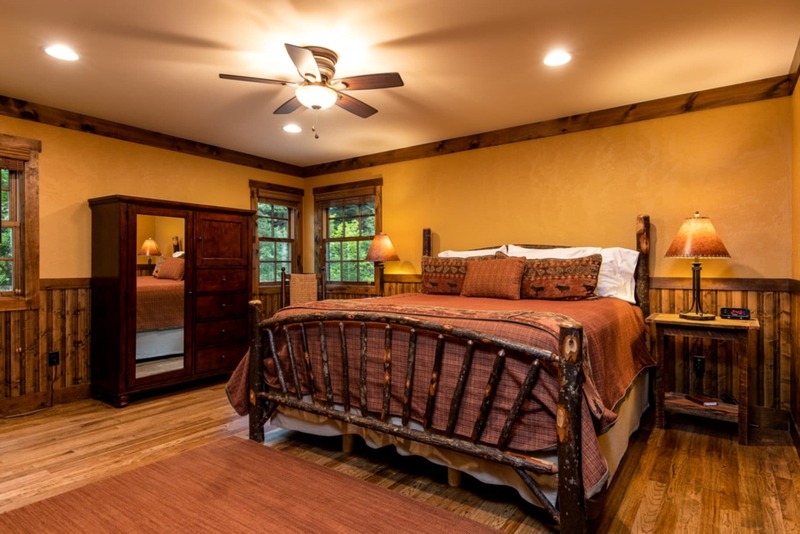 This cabin features a private bedroom with a plush king bed, a private full bath, a large private deck with hot tub and a spacious living room with cathedral ceilings and wide windows to take in your beautiful surroundings. 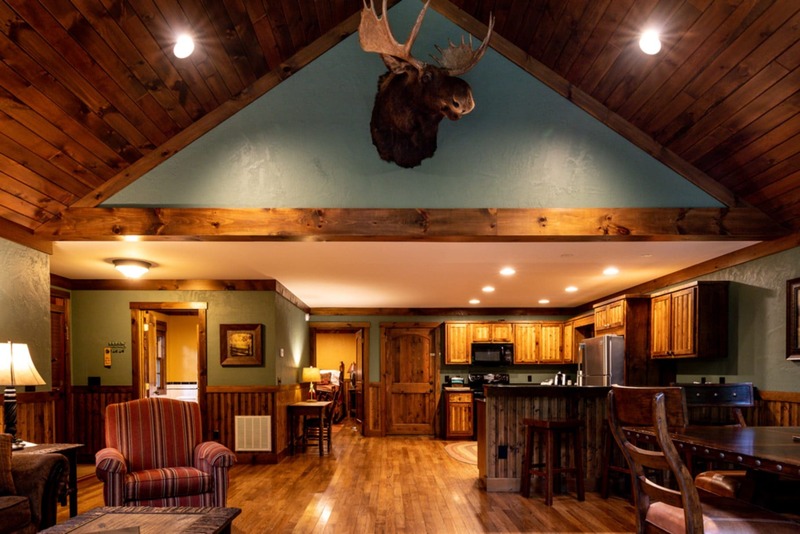 This cabin is unique as it has a full kitchen to enjoy your time dining with friends and family and a private outdoor fire pit. White Oak 1 is perfect for those who want to have space to enjoy company. 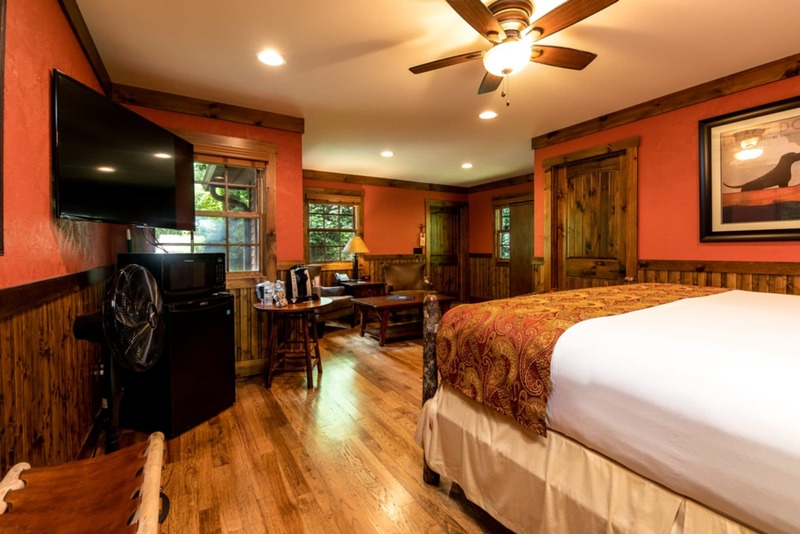 White Oak Cabin Room Two is furnished with a plush king bed and roomy sitting area. 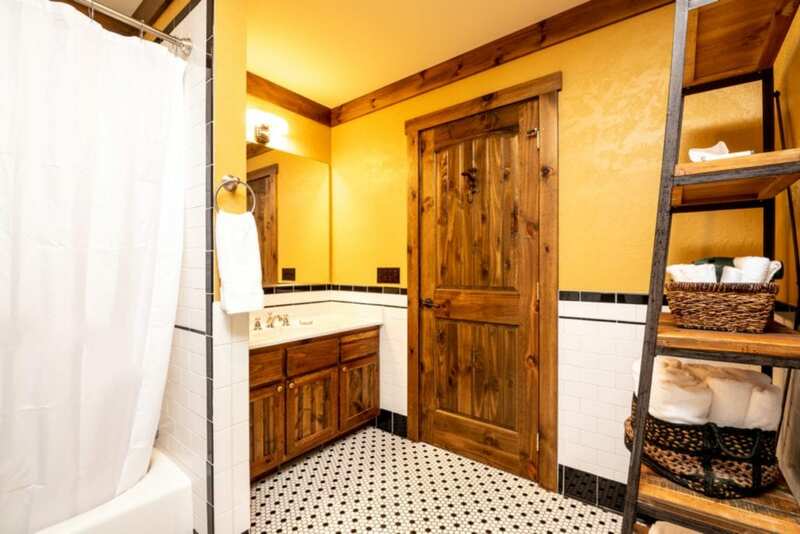 This cabin is situated high above the Tapoco property and has a view of the Yellowhammer Creek and Yellowhammer Mountains as well as the area’s largest White Oak. 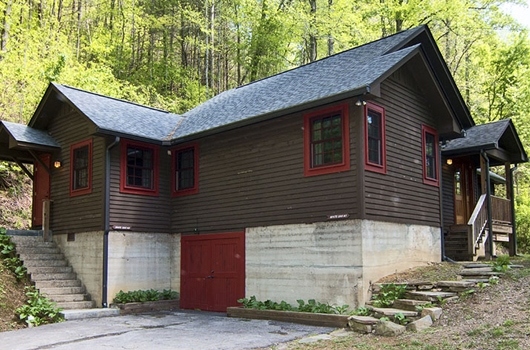 This cabin is a great choice for couples or friends traveling together as the connecting door can be opened to White Oak Cabin One.